Icon: IKEA’s Billy Bookcase, the Ford Model T of flat pack furniture design. Image by Faruk Ateş. Firstly, we at Steven Cleary Carpentry would prefer to see bespoke bookcases instead of flat pack ones. Even so, we cannot underestimate the global impact of flat pack furniture. In particular, a bookcase whose design has been virtually unchanged since 1979. We refer to IKEA’s Billy bookcase. Whether you love or loathe IKEA, you cannot underestimate the Swedish chain’s impact in popular culture. Not least its furniture names, especially the Billy bookcase. The Billy is probably the Ford Model T of flat pack furniture. One major difference is you can have any foil effect other than black: white and red foils, and wood veneers are available. Economy is another plus point. From a low starting point of €30, customisation is possible. The Billy Bookcase was designed by Gillis Lundgren, IKEA’s fourth employee, in 1979. The brief was to create a bookcase that would never go out of fashion, which ensured its continued sale till kingdom come. Originally, the standard bookcase was 90cm wide. But, there was complaints from customers over the shelves bowing. The 90cm width was too large for its pallets. So in 1988, Billy’s width was narrowed to 80cm. Its narrowing wasn’t the only significant change to the bookshelf. In 2011, its shelves were made deeper. 2014 saw the introduction of reinforced shelves and rounded corners. So far, over 50 million Billy bookcases have been sold around the world. By the time you have read this, there’s probably a Billy bookcase for every UK citizen. So, why did IKEA call its iconic bookcase Billy? 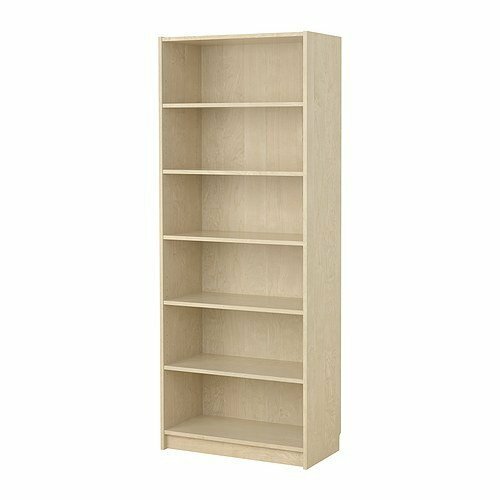 It was named after Billy Likjedhal, an advertising executive who wanted a straightforward bookcase for his personal library. One that did everything it said on the tin. No frills, no pretence. Almost 38 years on, its unpretentious design – in a variety of foils, veneers, and other embellishments – remains a big seller. Steven Cleary Carpentry, 16 May 2017.